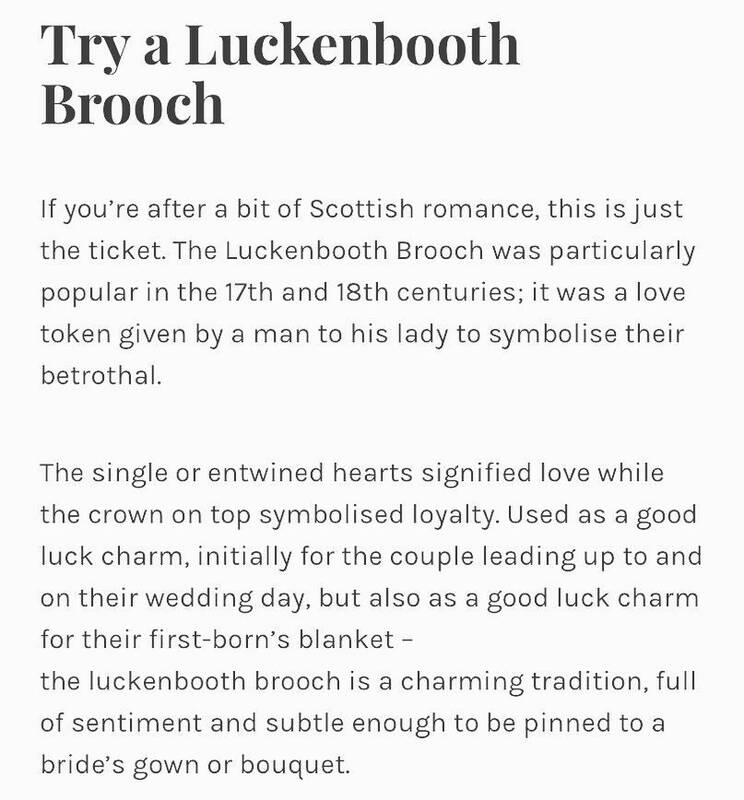 The Luckenbooth brooch has been a self-consciously Scottish form of jewelry since the 19th century. 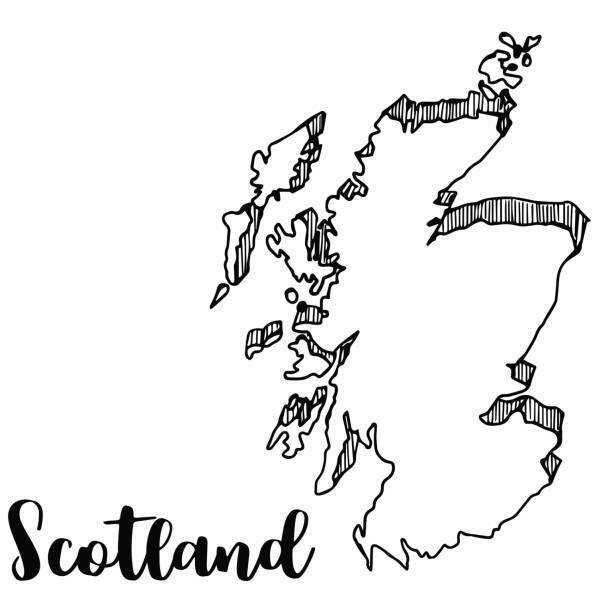 The form was adapted to pebble jewelry in Victorian times, as well as being a regular feature in the ranges of most Scottish manufacturing jewelers who worked for the Highland outfitter and tourist trades. The intricate detail of this highly polished sterling silver will make this a perfect gift for any new bride or new baby. This brooch measures 25 mm in height in solid Sterling Silver. 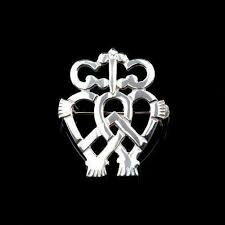 The Luckenbooth, made of pure sterling silver, symbolizes both love and protection because, when a couple has a child, the brooch or necklace would be put on the baby to ward off evil. Especially in the Highlands, Scots were superstitious. The Luckenbooth was believed to help to make sure the baby wasn’t a changeling, swapped by fairies.